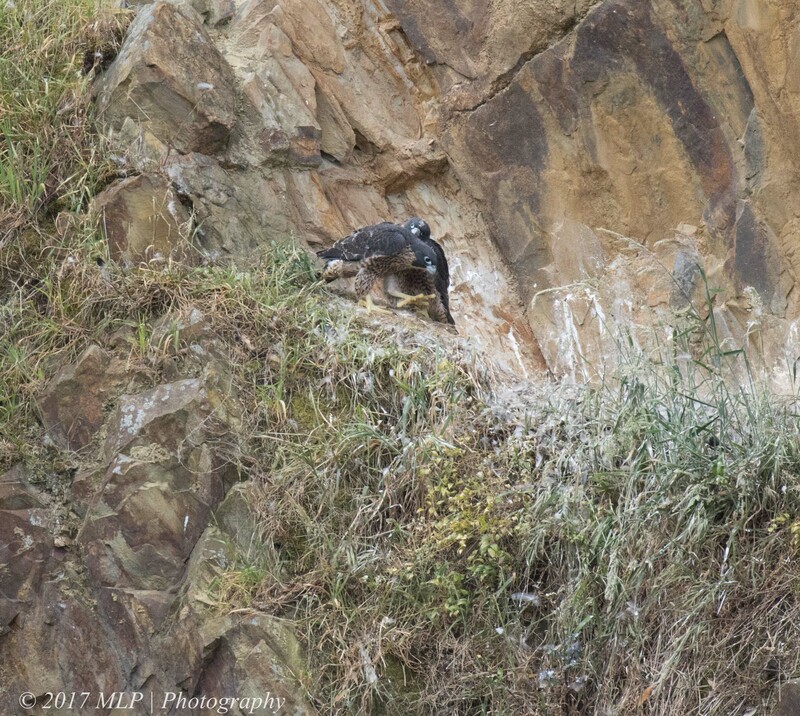 One of the resident Peregrine Falcons at the Quarry, keeping warm by puffing up the feathers with trapped air. 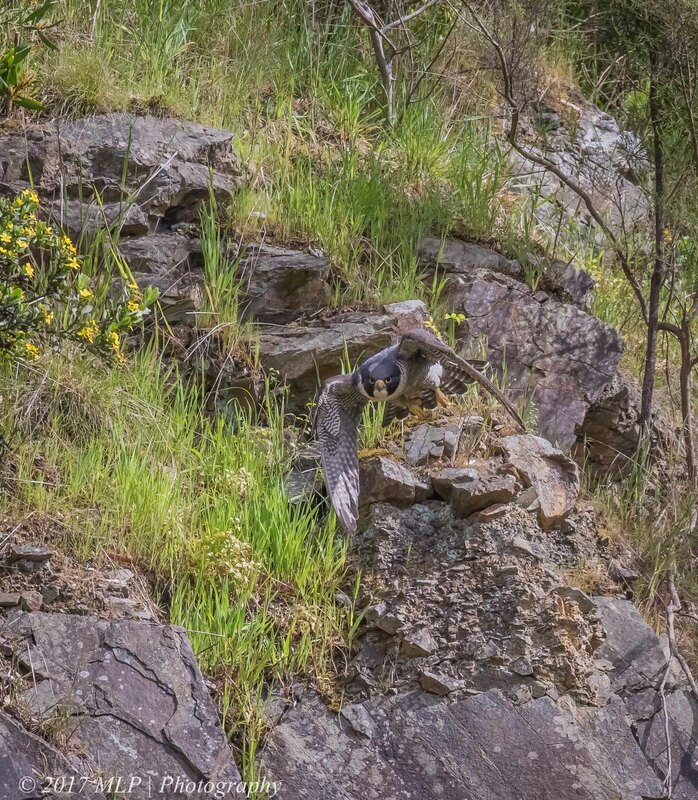 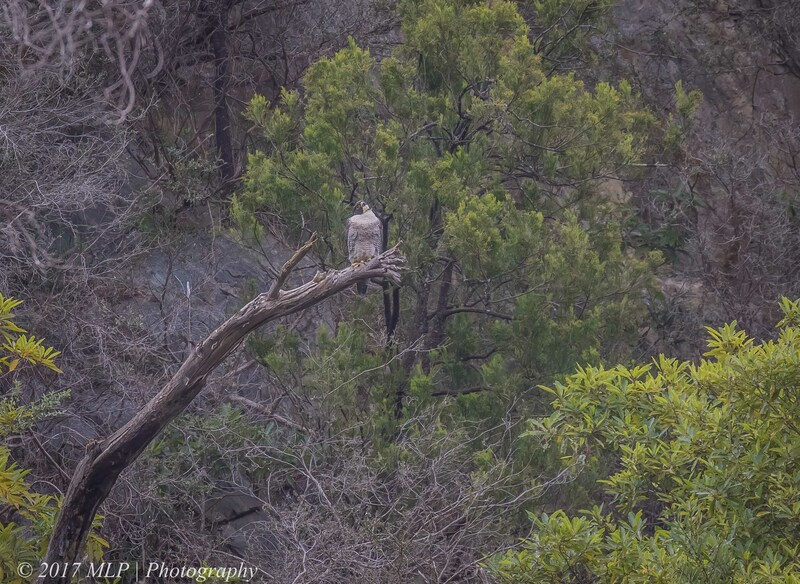 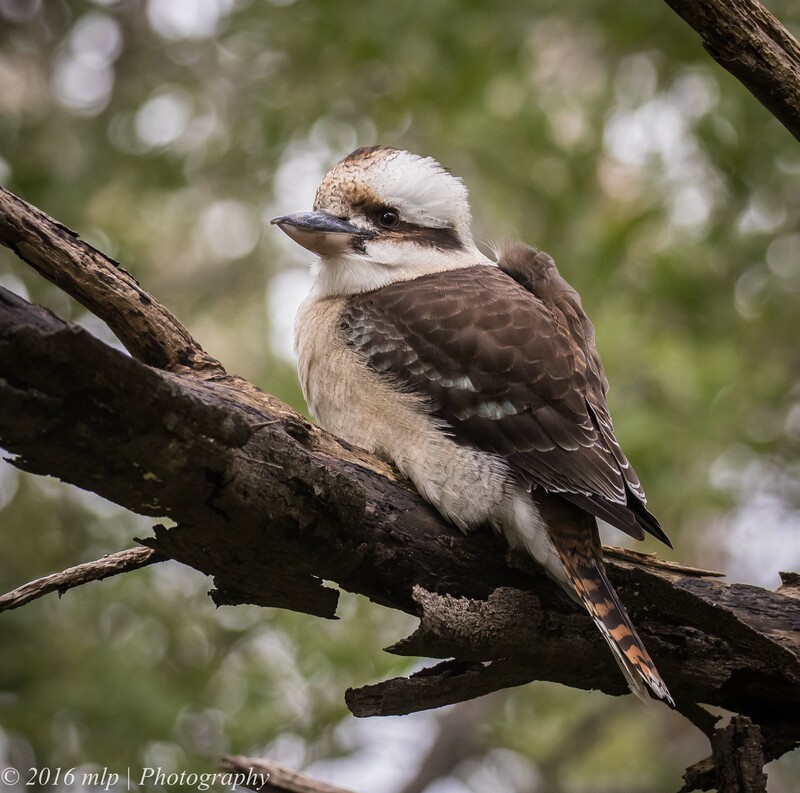 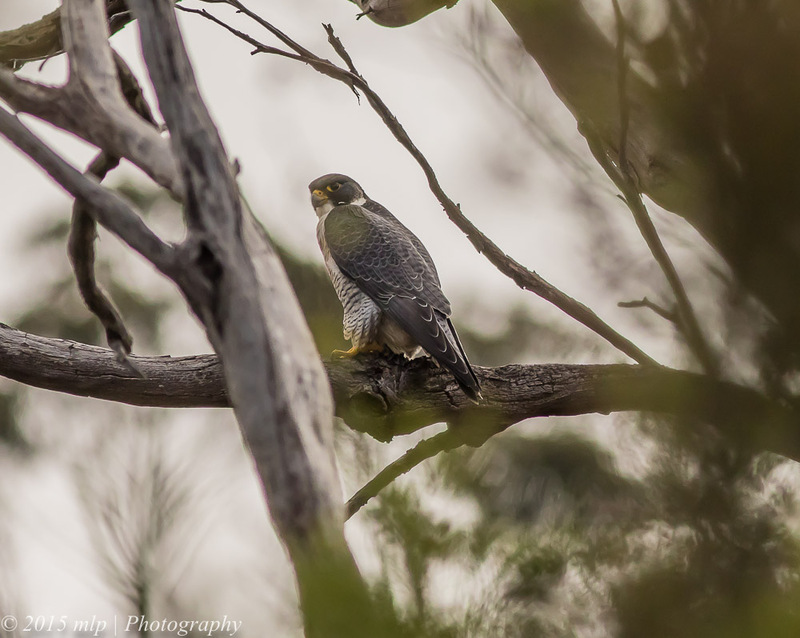 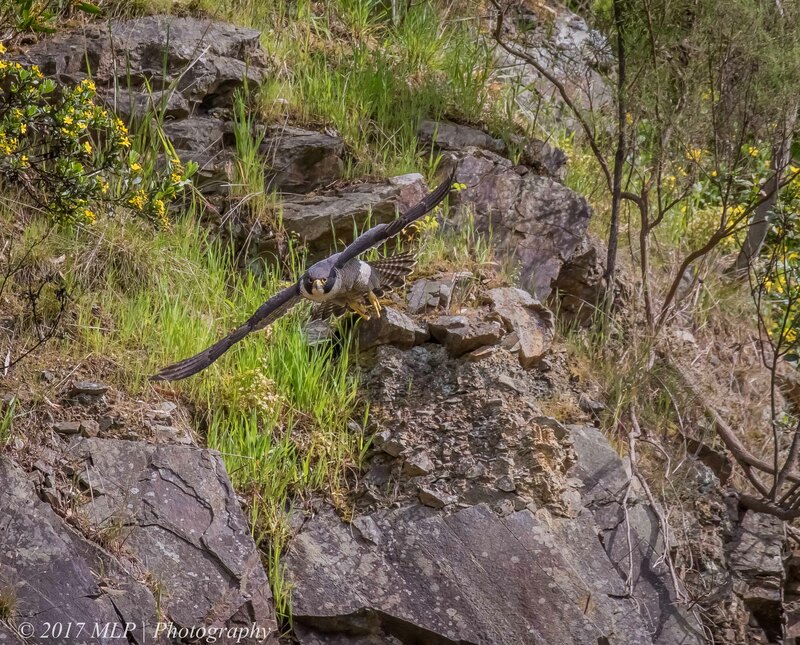 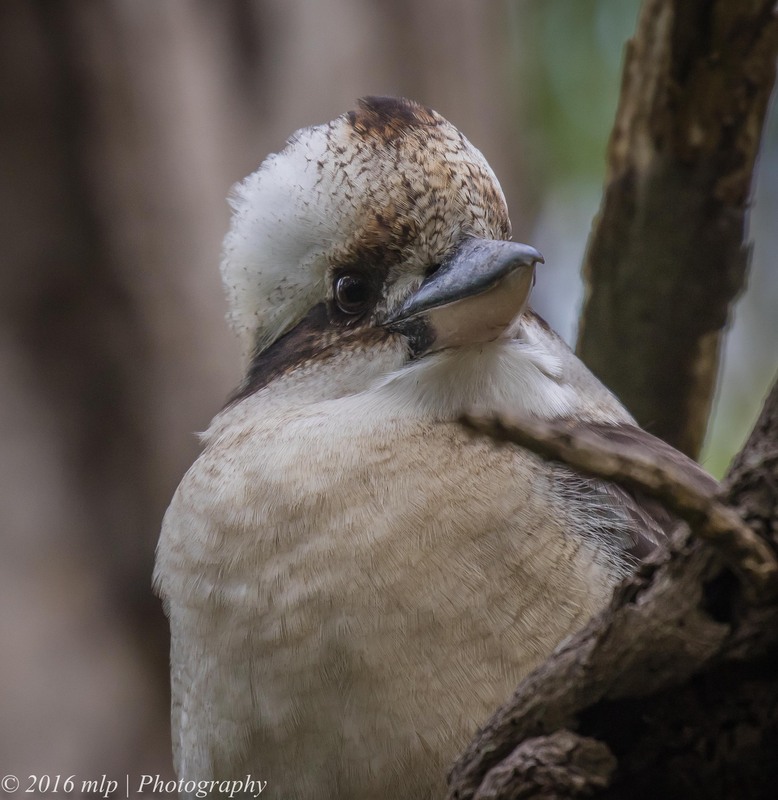 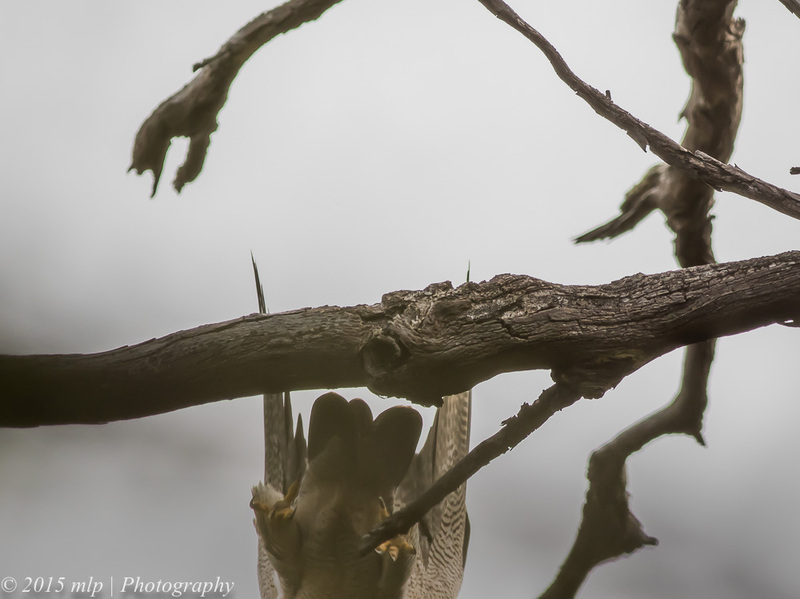 Moorooduc Quarry is a very good site for woodlands birds and for the Peregrine Falcon. 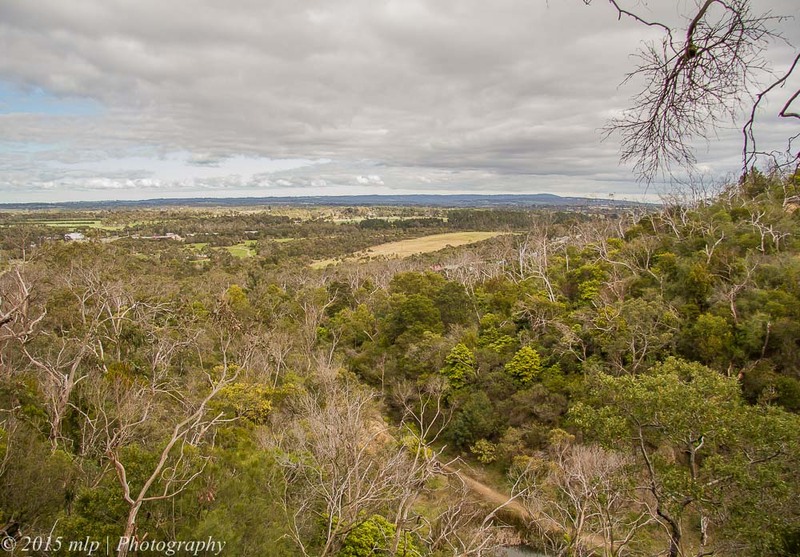 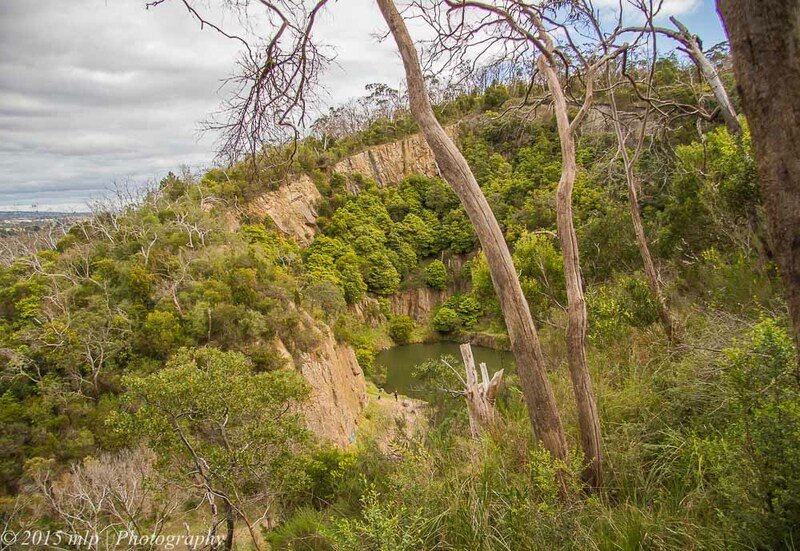 The quarry is cut out from a hillside in Mt Eliza and from the top has vast views of the surrounding countryside. 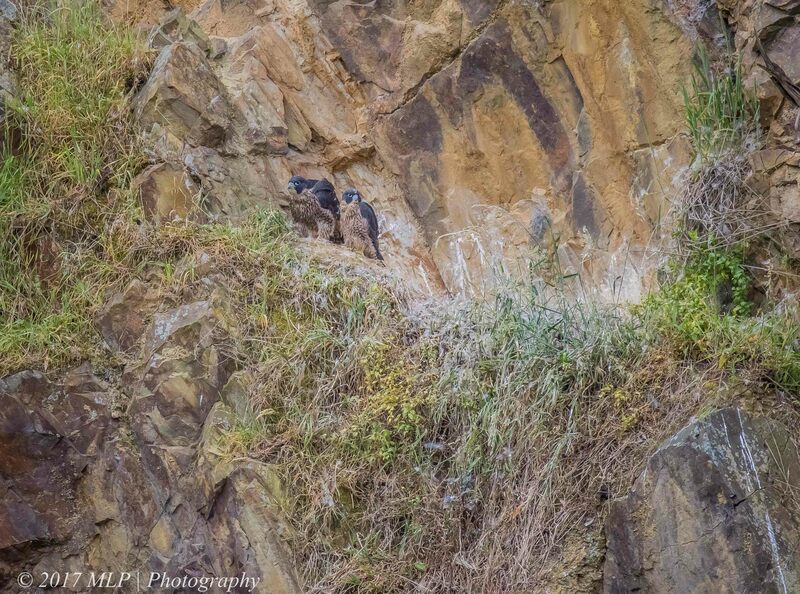 With such great views and an abundance of potential prey it is no wonder that the Peregrines can be found here all year round. 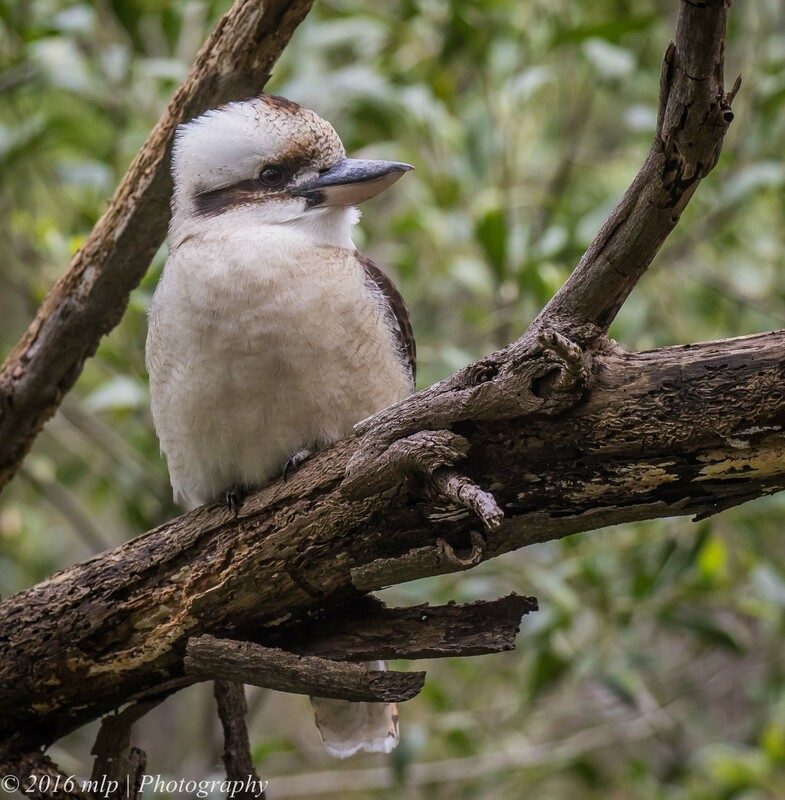 They also breed at the site each year. 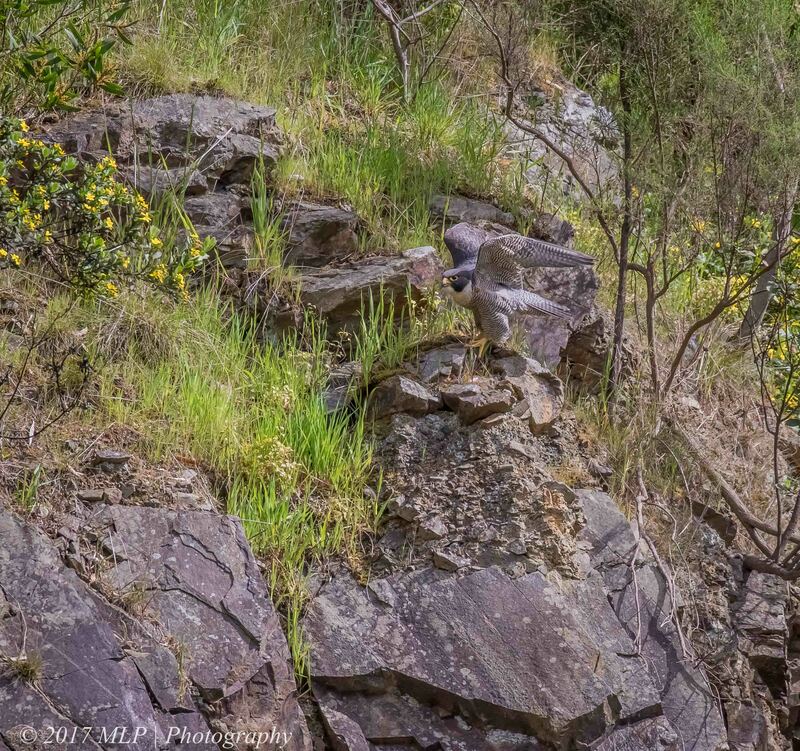 On a recent visit I walked into the quarry and looked for the Peregrines amongst the tall dead trees that overhang at the top of the cliffs. 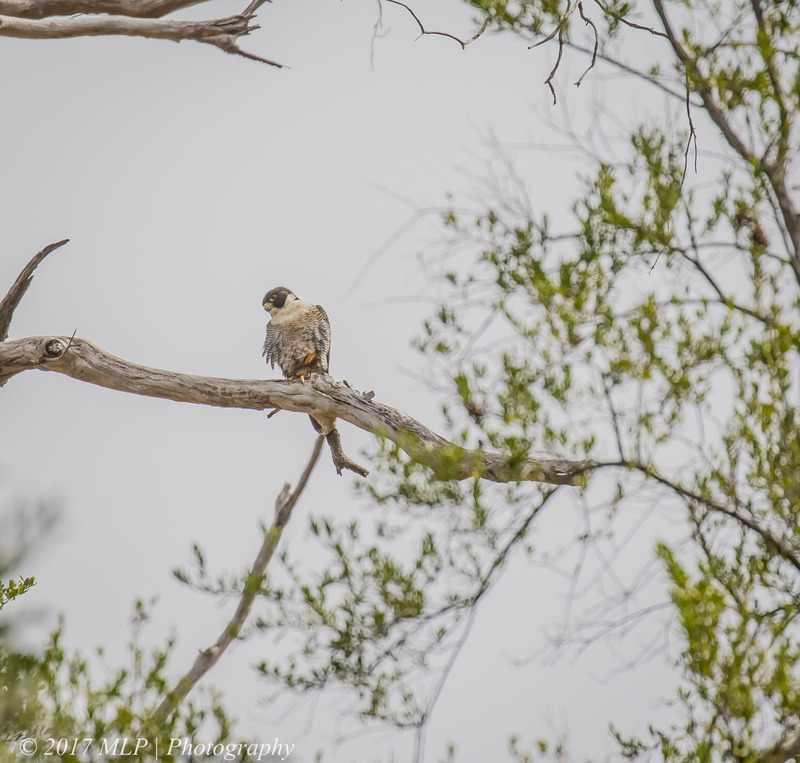 Spotting a Peregrine on a tall tree near one of the tracks that circle the lip of the quarry I thought I would try my luck and sneak up for a photo. 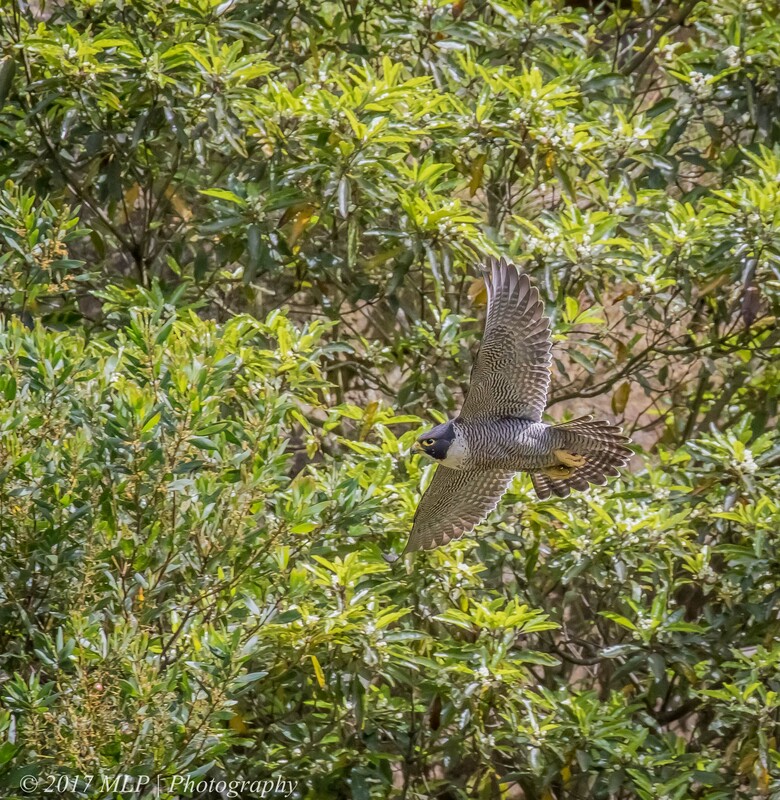 I am pretty sure he watched me all the way, gave me a bit of chance for a photo through the fringing bushes and then took off and flew to the other side of the quarry. 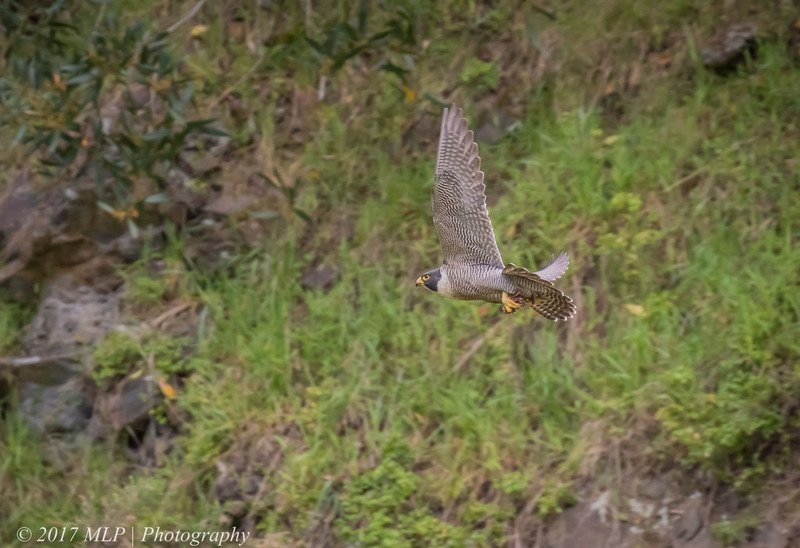 When the Peregrine took off he just leaned forward and dropped straight down to build up speed, glided for a while and then flew up to the other side. 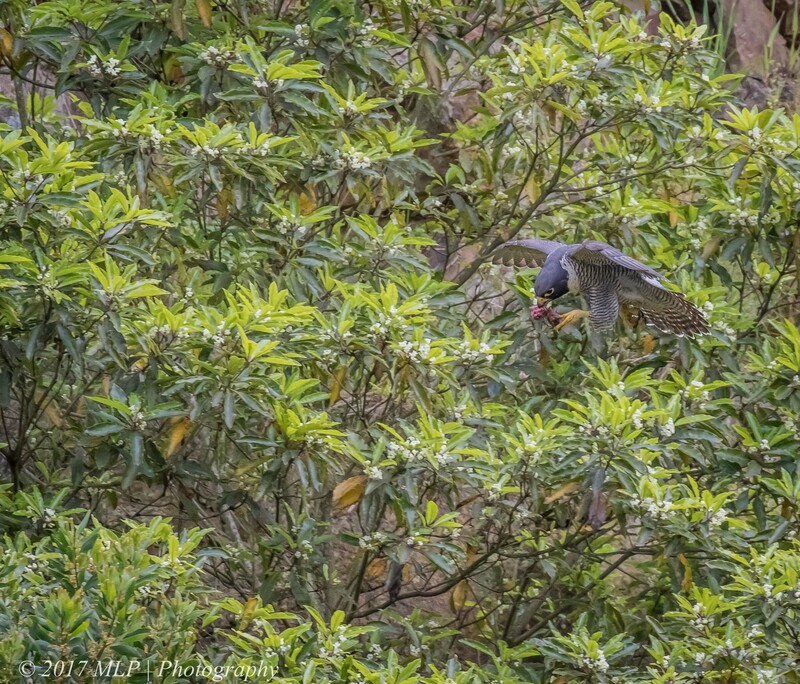 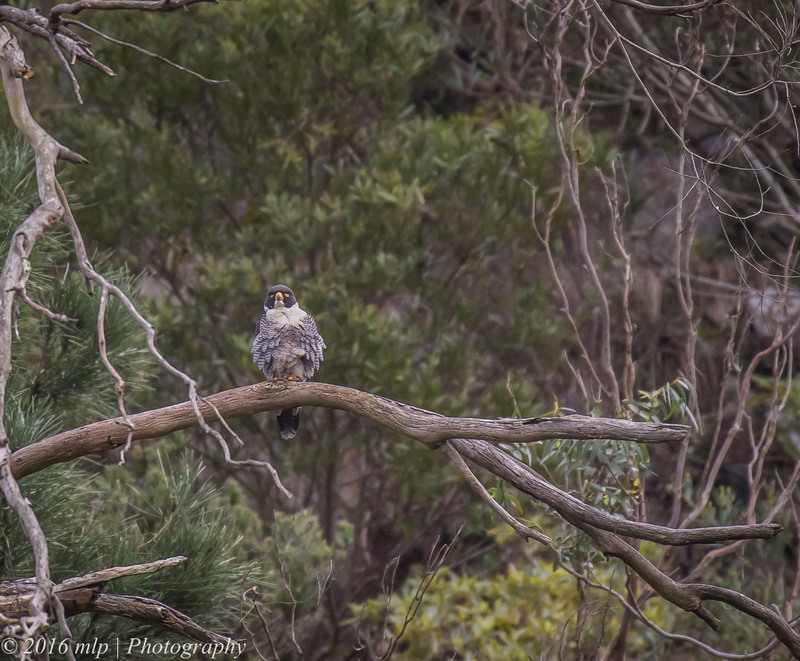 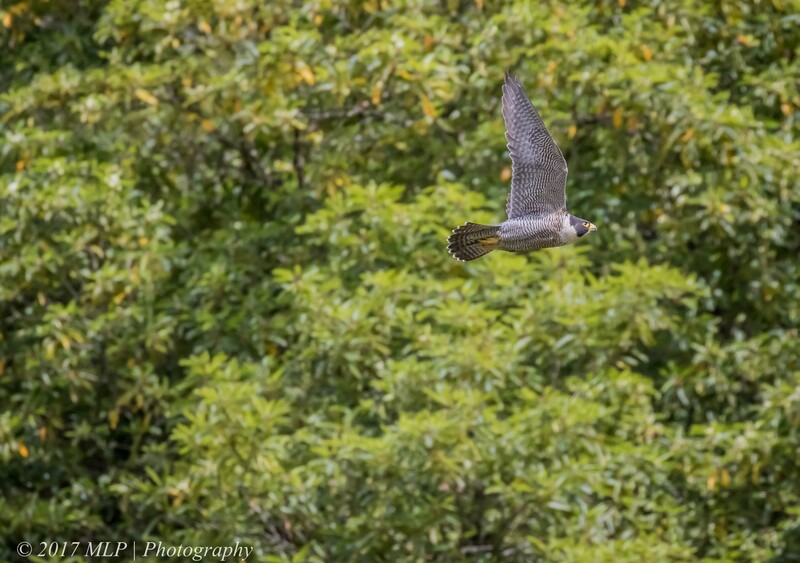 Peregrine Falcon – a regular at the site, watching me puff my way up the steep track. 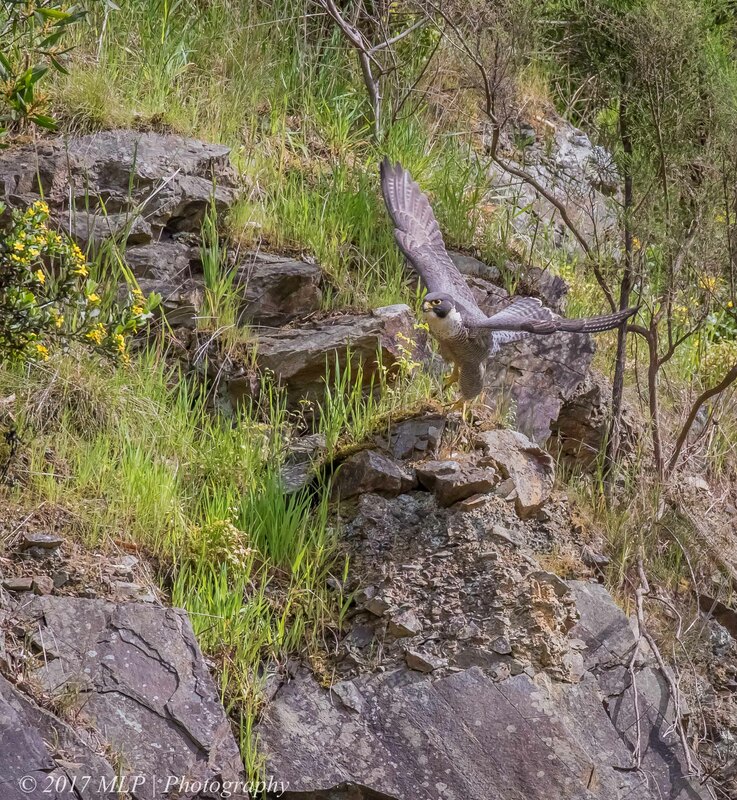 Dropping straight down the cliff edge to build up speed.